Kulcha is a soft textured bread and is a local variation of the naan. Kulcha is a Punjabi dish that is made by leavening (fermenting and aerating) the maida. 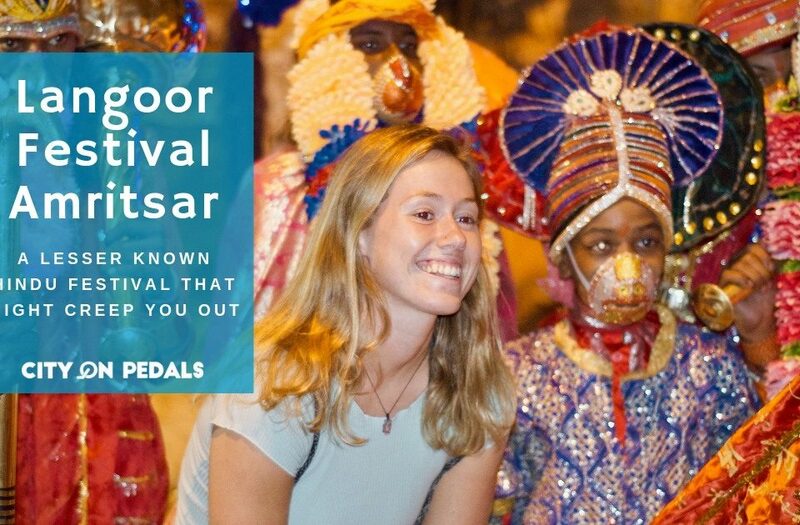 It is an Indian flatbread which is prominent in North India, especially Amritsar and Delhi. 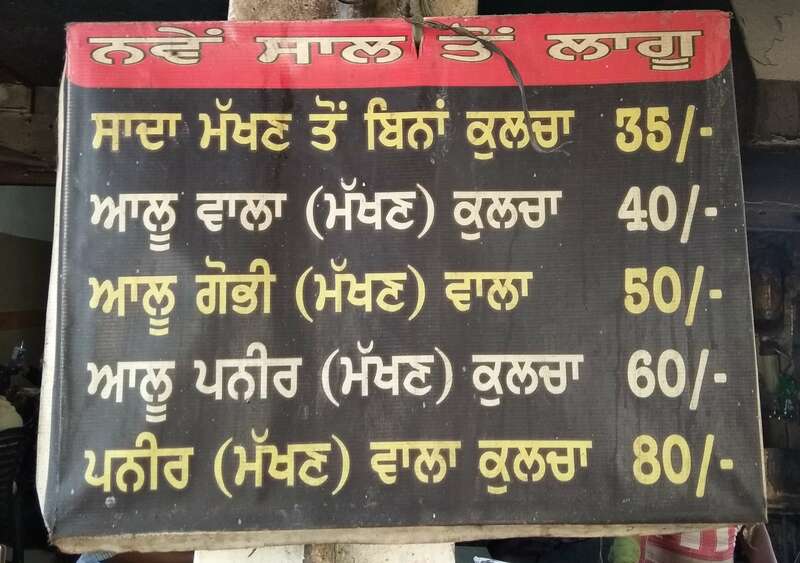 But on basis of popularity and quantity of consumption Amritsari Kulchas top the list. 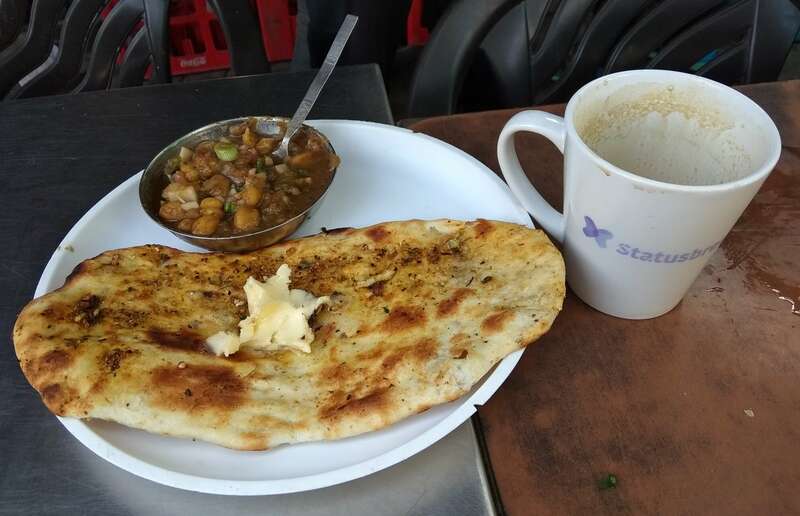 Kulcha is specifically a breakfast dish due to its high amount of calories but is available in the restaurants till evening satisfying gastronomic delight. The ingredients used in its making are maida, salt, stuffing (the stuffing maybe of potatoes or other vegetables like cottage cheese, cauliflower,etc.) and leavening agent to soften and ferment the bread which in turn aerates and softens the dough. Leavening can be carried out by either use of yeast or by the use of yogurt and baking powder. Typically in the naan, yeast is used and in the kulcha, yogurt and baking powder is used. The dough formed is allowed to ferment for some hours by wrapping it in wet cloth and leaving it undisturbed. The dough is then pummelled on a flat surface, stuffed and rolled to make it round or oval shaped. 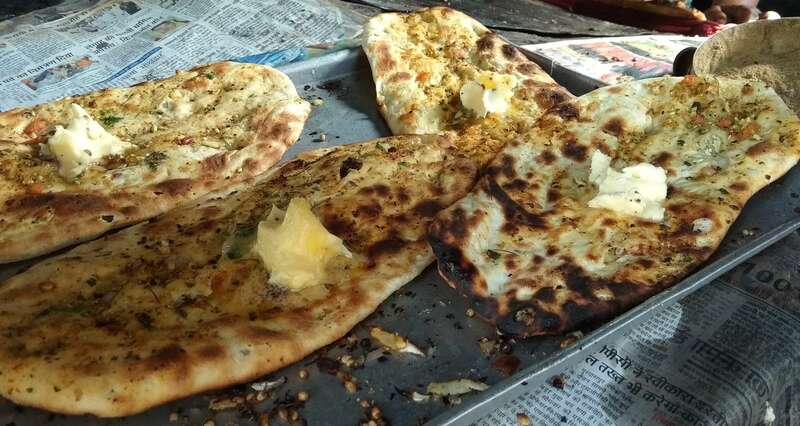 The earthen clay oven is used to bake this bread which contributes to the characteristic crispy texture and baked flavor of Kulcha. 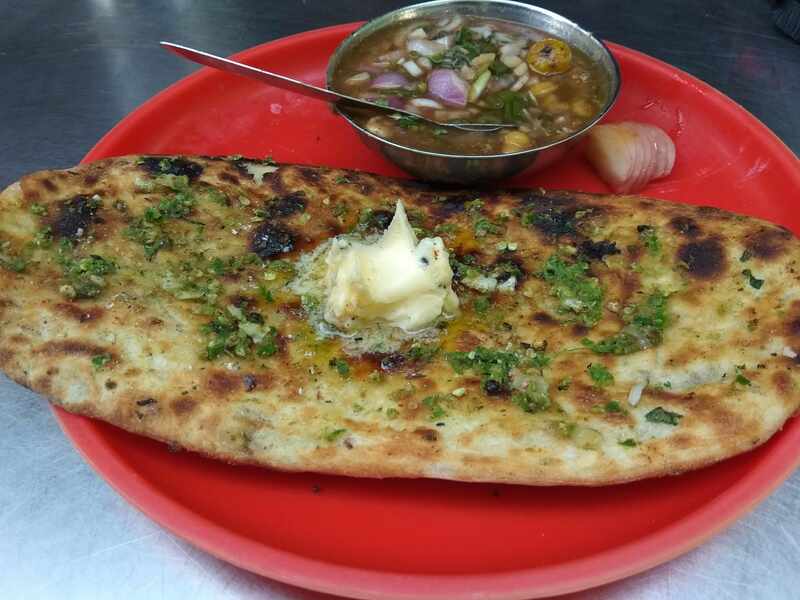 Butter is brushed on top of Kulcha(which is optional) and garnished with the chopped coriander leaves usually in the dried form to enhance the flavor richness. 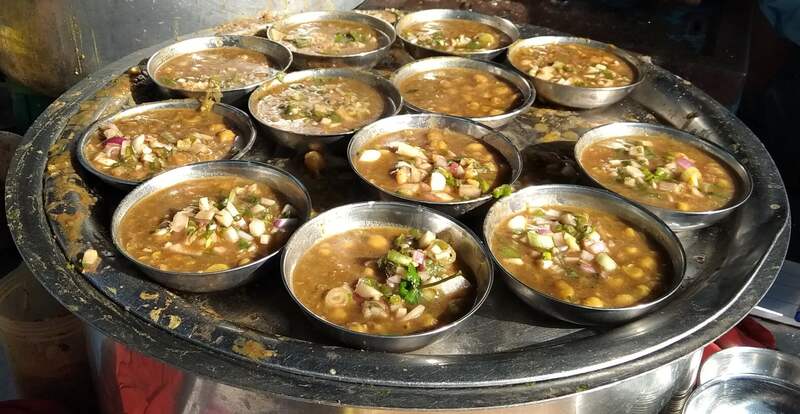 It is then served hot with chole/chana which is made from chickpeas. Chutney is provided with this dish which is made from tamarind and onion that has a sour, a bit sweet and crunchy flavor. 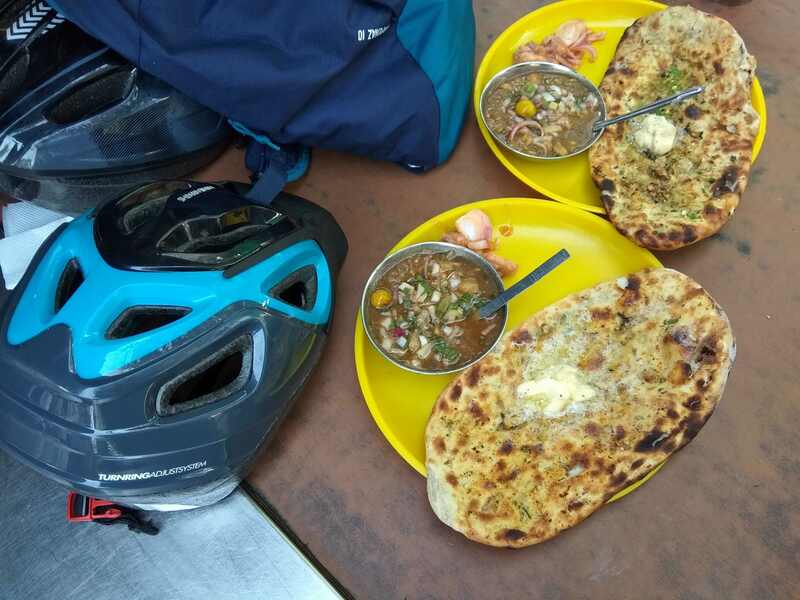 Kulcha is a variation in the naan (Indian roti) and in many parts of north India, kulcha is served without any stuffing with all kind of gravies and sabjis (cooked vegetables). The plain kulcha is sold in the name of naan in almost all the restaurants. The stuffed kulcha, for example, the aloo kulcha has potato and onion stuffing and paneer kulcha has cottage cheese stuffing. The quantity of stuffing can be changed as per customer’s order. By referring to the Amritsari kulcha, we customarily mean the potato stuffed kulcha. The stuffed kulchas, in general, are rich in spices to meet the taste of the Punjabis but can be varied on personal preferences like spicier or less spicy. Typical spices that are added in kulcha are dried mango powder (amchoor powder), chopped green chilies, red chili powder and garam masala powder. The other variety of kulcha is usually made on demand that is by adding dry fruits as not many customers prefer this variety. 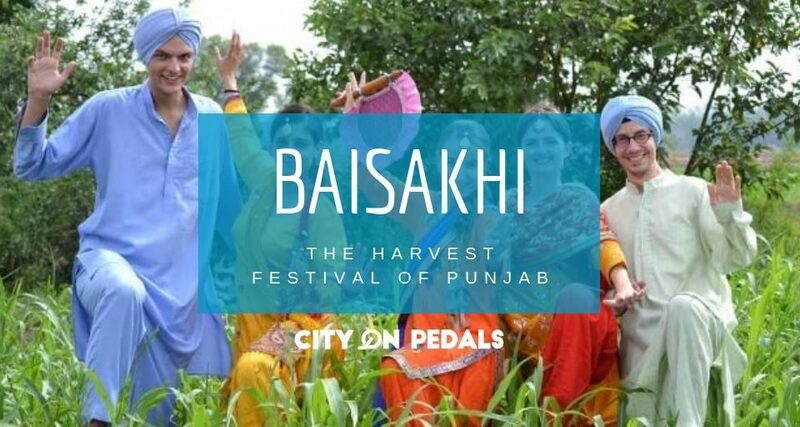 The usual flavor of the kulcha is spicy with a crisp texture and at the same time it is high in the calories but one must not leave Amritsar without having this delicacy. 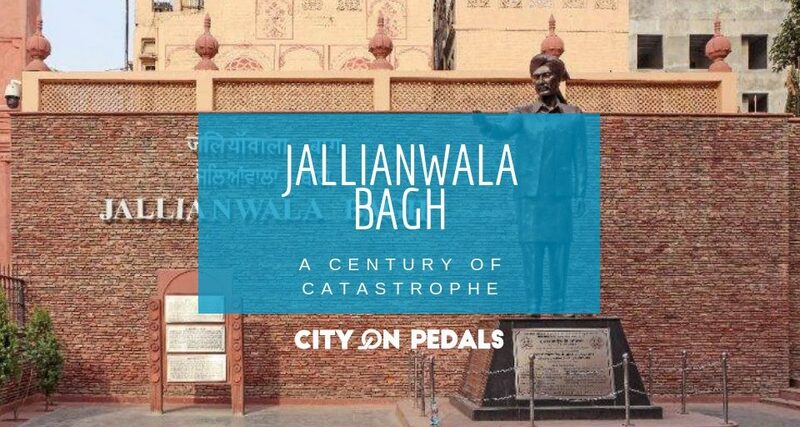 The local importance of this dish can be noted from the fact that often Kulcha is stated as a synonym of Amritsar in many blogs.